Atrium Health and UNC Health Care announced Friday the two systems are suspending merger talks, following vocal criticism from state officials, including North Carolina's treasurer and attorney general. Charlotte-based Atrium signed a letter of intent to create a joint venture with UNC Health Care in August. The resulting system would have had about $14 billion in combined annual operating revenue, more than 50 hospitals and more than 90,000 employees. Atrium's CEO, Gene Woods, and the chairman of its Board of Commissioners, Ed Brown, called off the deal in a letter to UNC Health Care's leadership on Friday. An Atrium spokeswoman declined to say what caused the proposed deal to fall through. It was subject to a review by North Carolina's attorney general and potentially the Federal Trade Commission as well. "Everything we have to say at this point is in what we sent (in the statement)," she said. 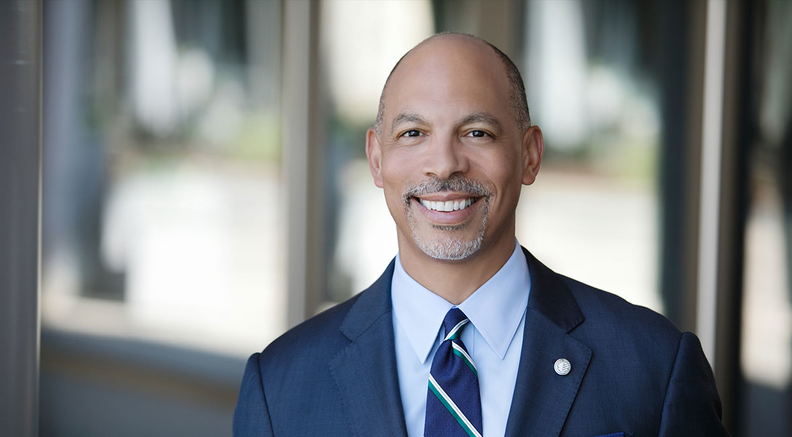 In its own press release, UNC Health Care CEO William Roper and board Chairman Dale Jenkins said the two systems agreed that the best path forward is to identify specific opportunities to collaborate, as they have previously, rather than form a joint operating company. "We would like to express our gratitude to the leadership teams at Atrium Health, UNC Health Care and the UNC School of Medicine for the time and effort spent working on the joint operating company proposal," they said. Public officials in North Carolina have been openly skeptical with their concern that the deal would raise prices for patients and taxpayers, and have put significant pressure on the systems to offer evidence to the contrary. Dale Folwell, the state's treasurer, said he was concerned that the two systems never brought their proposed deal forward for review by North Carolina's Council of State, of which he is a member. The prominent group also includes the state's attorney general and insurance commissioner. Folwell said he never received evidence that the deal would not raise prices. As treasurer, Folwell said he oversees North Carolina's State Health Plan, a health plan that covers public employees. "I'm the keeper of the public purse and I have to protect taxpayers of this state and participants in the state health plan, who are also taxpayers," he said. Folwell said he asked UNC Health Care representatives to provide the State Health Plan a $1 billion bond guaranteeing a merger with Atrium would not increase medical costs for its members and other taxpayers. They declined. Similarly, North Carolina Attorney General Josh Stein wrote a letter last month to the CEOs of Atrium and UNC asking for additional information on how the deal would impact consumers. "We seek information to assess whether the proposed combination would increase prices for health care, reduce choices available to patients and payors, or otherwise harm North Carolina patients, North Carolina businesses, or the state itself," he wrote. That concern was conveyed in a recent lawsuit. A North Carolina resident and Atrium patient filed a putative class-action lawsuit in a federal district court in the state Wednesday against the health system alleging Atrium used its market dominance to impose unlawful contract restrictions that prohibit commercial health insurers from offering inpatients financial benefits to use less-expensive health care services offered by Atrium's competitors. Blue Cross and Blue Shield of North Carolina's CEO also came out against the proposed merger in January, arguing it would drive up prices for patients. Atrium, which changed its name from Carolinas HealthCare System last month, wrote in its news release that it remains committed to creating an organization that can serve more people and address North Carolina's most pressing issues, including rural healthcare, behavioral health and affordability. "In our letter sent to UNC Health Care today, we informed them that while we have not been able to reach an agreement, our respect for UNC Health Care, its team and UNC Health Care's accomplishments has grown through this process," Atrium wrote in a news release. "Their desire to work collaboratively to improve the health of every North Carolinian is something we highly value and to which we are also committed." Atrium's spokeswoman declined to say whether negotiations could reopen in the future. "I think it's fair to say right now the discussions are not going forward," she said. Last month, Atrium and Macon, Ga.-based Navicent Health signed a letter of intent to join forces. The combination of not-for-profits would give Atrium a regional presence in Georgia, opportunity to expand to other areas and bolster its service lines. Navicent, which would become part of Atrium, would gain access to capital and benefit from spreading costs over a wider patient base. Ken Marlow, chair of the healthcare department at law firm Waller Lansden Dortch & Davis, said that deal may have rankled UNC executives. "If a partner sees that your strategy and priorities are spread out and not concentrated in a way that aligns, that would be a real sticking point," particularly for the conflicting business models of academic and non-academic institutions, he said. Deals like Atrium and UNC falling apart could potentially slow the furious pace of healthcare mergers, Marlow said. "But I am not seeing that right now—it is feverish," he said. Alex Kacik contributed to this report.